You know that feel of wanting to devour a book? Of wanting to put off everything – work, sleep, food – in order to just have a few more minutes to read a few more pages? 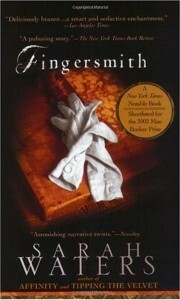 This was what Sarah Water’s Fingersmith was to me. It is edgy Victorian. A darker version of a British Annie. A novel for a female Dickins. And, it is delightful. Seventeen year old Susan Trinder has been raised in a house of thieves by Mrs. Sucksby, who often takes in orphans. Unlike other orphans, Sue has been doted on her whole life. When Mr. Rivers, or the Gentleman as Sue knows the frequent visitor, arrives at the house late one evening, the story begins – or so Sue says. Mr. Rivers has met a young girl in the country (Maud Lilly) who lives with her bachelor uncle and is heir to a fortune if only she can catch a husband. For a mere three thousand pounds, Sue agrees to pass herself off as a potential maid to the young girl in order to help Mr. Rivers win her heart. Once the marriage has been consummated, Sue will further help Mr. Rivers have Maud committed to an asylum so that he is free to live with his lavish wealth. Sue can return home in time for her eighteenth birthday. Once Mr. Rivers’ plot is in action, the narrative twists begin. There are several major turns and many minor ones; so many that perhaps one criticism might be that the reader is at times unsure of what to trust. However, this didn’t both me. The primary characters – Sue and Maud, who each have a turn as narrator – are so well developed, such round creatures, that the twists only served to create more facets for them. 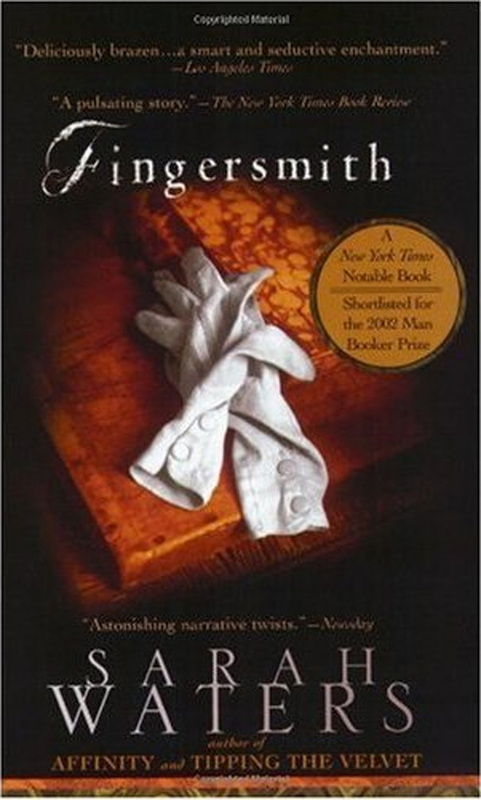 Short listed for both the Orange Prize and the Man Booker Prize, Fingersmith has made me a fan of Sarah Waters. I have this in my TBR. Great review, looking forward to picking it up now. Adding to my TBR. Good review! This is one of my absolute favourite books – I'm so glad you loved it! This is one I haven't had a chance to read yet but really want to. I'm glad you enjoyed it. I felt the same way about Fingersmith. It is definitely one of my favorite books of the year. Thanks! for the great review, will add to my list.